This letter was written by Pvt. 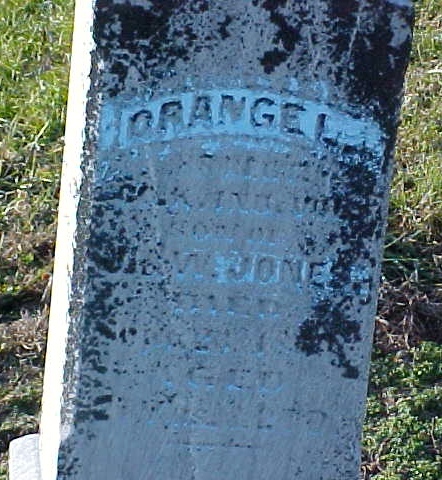 Orange L. Jones (1842-1863) who served with Company K, 88th Indiana Infantry. He was the son of John Jones (1792-1871) and Wealthy Anna Spalding (1811-1883) of Summit, Whitley County, Indiana. 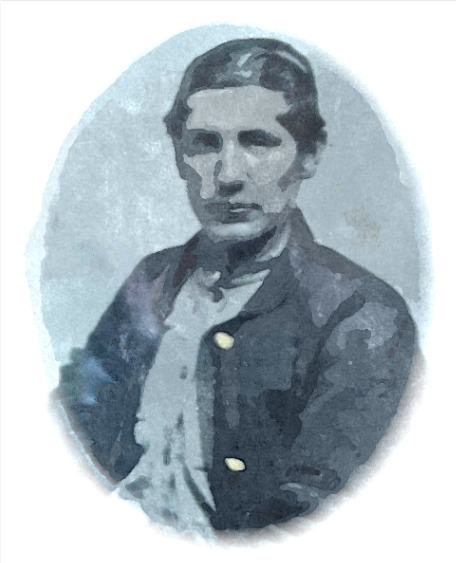 Jones died on 23 September 1863 and was originally buried at the Stones River National Cemetery in Murfreesboro, Tennessee, but his family later had his body exhumed and brought home to Indiana. 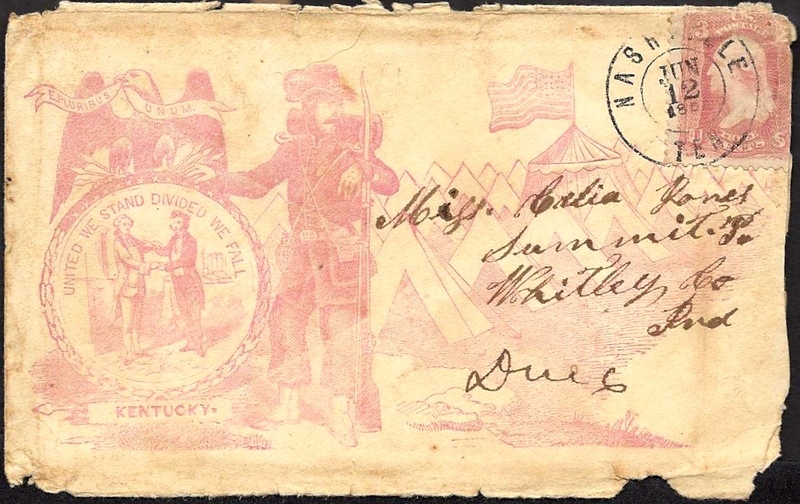 During the time that Orange Jones served with the 88th Indiana Infantry, the regiment was engaged primarily in the pursuit of Bragg’s army in Kentucky which resulted in the Battle of Perryville, and then later into Tennessee where they participated in the Battle of Stones River. The regiment remained near Murfreesboro until mid June 1863. Orange wrote the letter to is sister, Rocilla (“Celia’) M. Jones (1851-1922) who later married her first cousin, Dorr Judd Spalding (1848-1922), son of Calvin Spalding (1820-1897) and Malissa Hatt (1820-1904) of Deerfield, Michigan. Summit was located one mile west of Larwill where the Huntington and Goshen road used to cross the Fort Wayne and Warsaw Road. It consisted of stores, doctors, saw-mills, churches and schools. The only thing remaining is a cemetery which is now a farm. I take this opportunity to write a few lines to let you know that I am a getting better. I think that it won’t be very long till I will be in good health again. I was very glad to hear from you and to think that you would send me them roses to me. They look very nice. They look as they did when I was at home. Does the folks think that my likeness looks any like me? Do you think that it looks any like me yourself? I want you all to take good care of my things till I come home and I don’t think this can last very long the way that our men is a given them g___ out in front. I have just been to dinner. I had for me dinner some greens to eat and plenty of good bread to eat and I had some tea to drink. When you get this I hope that you may be in the very best of health. I want you to tell me what you think of the present. It is a hymn book. I have two of them and they don’t cost anything here. Tell all the folks that I am a getting better. Let me know how you are at the present time. It looks like rain here today. Well, Celia, I want you to be a good girl and try to do what mother wants you to do and when I come home I will bring you something. I want you to have father to send some stamps in your next letter that you write to me. What do you think of my coat that I sent home? Tell me what you think of it. I can’t think of anything more to write for the present time so good bye. This entry was posted on Monday, August 11th, 2014 at 1:46 pm	and posted in Uncategorized. You can follow any responses to this entry through the RSS 2.0 feed.